Satisfy your cheesy cravings with Kraft Deli Deluxe White American Cheese. Decadent and creamy, these Kraft cheese slices offer that classic American flavor you’ll love. 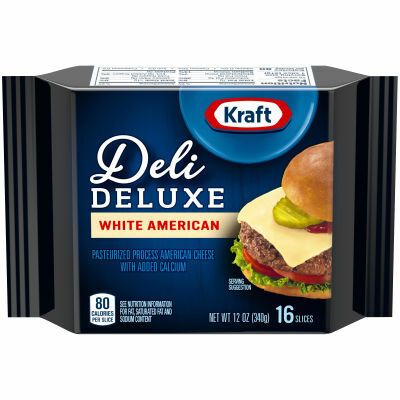 Pre-sliced for added convenience, Kraft Deli Deluxe White American cheese is a great addition to any sandwich, grilled cheese, or burger.